Twitter was filled with tweets on Oscars but Elon Musk stole the show when he made a statement that SpaceX will be making an important announcement today. SpaceX representatives were questioned but nothing substantial was said and the all tech lovers went crazy with curiosity. Various speculations were made about what sort of announcement will be made. Some said that the announcement is on the Mars colonization plan while others argued that it is about the spacesuit design for the astronauts that will travel on the Dragon Spacecraft. But like he always does, Musk surprised us all. He announced today that two private citizens will be making a trip around the moon late next year. Although we knew that the moon trips were going to happen we never expected them to start in a year’s time. The private mission will consist of only two members who are both “very serious” about the trip and have put down a significant amount of deposit according to Musk. The round trip will take approximately a week to complete and it should be kept in mind that the mission will not actually land on the surface of the moon. It will just skim the surface, go a little further into deep space and then revert back to the Earth. The plan right now is to do the trip in the second quarter of 2018 on SpaceX’s crew Dragon spacecraft with the Falcon Heavy Rocket, which is going to have its maiden launch this summer. We all know that Musk is a very ambitious guy, he pushes deadlines and makes promises that many people don’t even dream of. Some of the deadlines are very unrealistic, such as the one in 2011 where he promised to put people in space in just three years. But even if all deadlines are not met, he does in the end get the job done one way or the other. Related Musk Proves To Be The Man After All As He Shuts Down Tesla And SpaceX Facebook Pages – Will He Shut Down Instagram Too? The two wealthy people who remain unnamed know each other and will begin their initial training essential for the trip later this year. 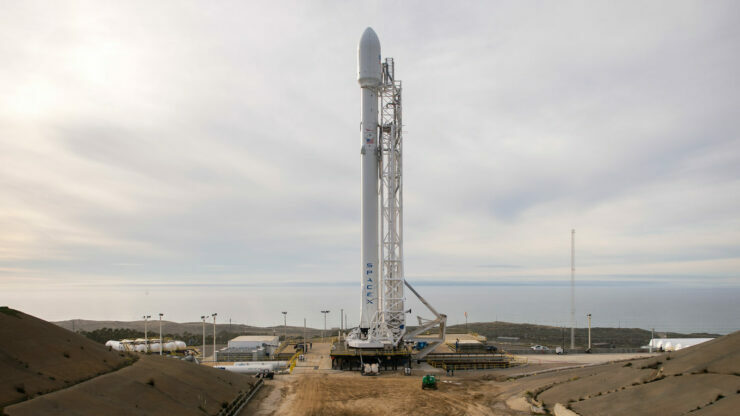 The exact cost of the trip was not disclosed by Musk but he did hint that it was somewhat similar or a little more than a crewed mission to the International Space Station (ISS). The trip will need to be licensed by the Federal Aviation Administration but a permit from the United Nations won’t be necessary. Musk also added that all of this wouldn’t be possible without the help and support of NASA and so if NASA wants to do the first lunar mission then it would obviously have priority. The announcement also said that other flight teams have also shown keen interest in the project and will likely follow. We will keep you updated about any additional information that we can gather regarding the trip. Till then you should just rejoice on the fact that the first private manned mission to the Moon is starting next year and this would be something pretty cool, hopefully one day the common man will also be able to make a round trip to the Moon.